Saying Guardians of the Galaxy was a success is an understatement. It took comic book characters that even the die-hard nerds didn't even know and made them into the year's highest grossing film domestically and second highest grossing world wide. It took Chris Pratt, who had only been a supporting actor before and took a chance on him as the lead. They made a movie with a talking raccoon and a walking tree. Marvel was taking big chances when they decided to make Guardians, and everyone doubted them. So did I. I was extremely skeptical when I first heard it. But the more news I heard and the more footage I saw the more confident I grew. And Marvel didn't just make a good movie... they knocked it out of the park! I've ranted about the risk with Guardians before and how it paid off. You can read our review here. 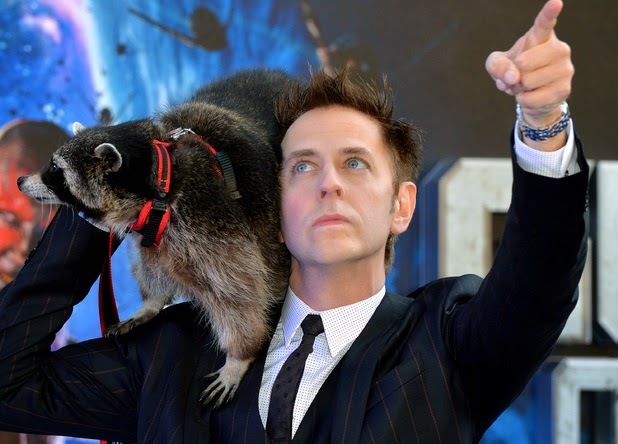 Now, in preparation for the film's Blu-ray release, director James Gunn talked a little bit about his reaction to the movie's massive and rather unexpected success. What's so great about these quotes is that it isn't a proud creator pretending to be humble, it's a proud director that's shocked that other people share his love. 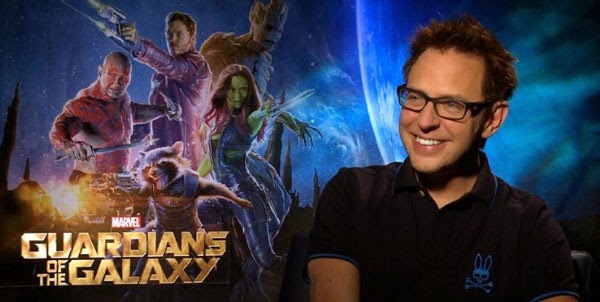 Gunn is as surprised as any of us that Guardians has become the cultural phenomena that it is. And it humanizes him a lot. Sometimes these Hollywood people can be really unrelatable, but Gunn's comments shows that he is. He's just as shocked and just as excited as the rest of us, and I think he couldn't have said it better. “The Guardians are going to continuously change. I think that some of the characters are probably worse than what we think they are, and other characters are better than what we think they are. It’s going to be interesting to learn a little bit about that as time goes on." Gunn's comments explain something I've been thinking about for a while. The Guardians started out as criminals who had to unite to be heroes. I've wondered whether they would just continue the story with them as heroes, or go back to their darker pasts. And it seems they will be doing the latter, which is what I hoped for. I'm excited to see what will the Guardians are capable of, as Gunn puts it. We'll have to see. What do you think? Do you like Gunn's comments? Did you like Guardians of the Galaxy? Are you looking forward to the sequel? Leave your thoughts in the comments section below.